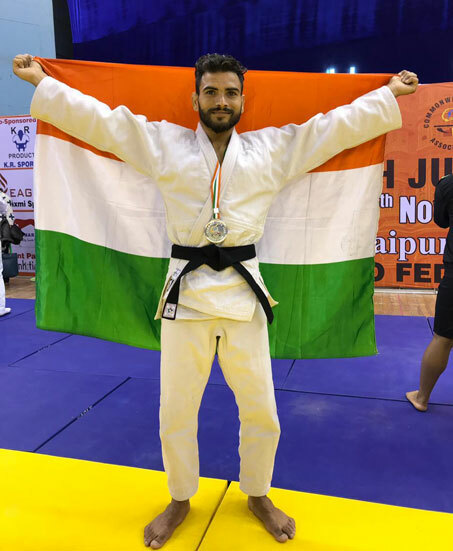 Judo Coach at Lovely Professional University (LPU), Nitin Batish presented a fiery and spectacular performance at Commonwealth Judo Championship 2018 held in Jaipur (Rajasthan) and brought laurels to India by winning silver medal. Coach Batish competed in 55Kg weight category, men section. 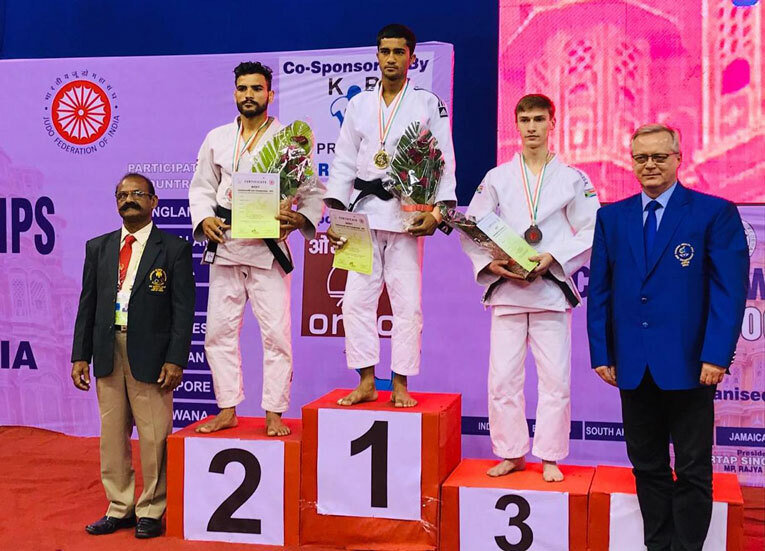 The competition in different weight categories were held at the Sawai Man Singh Indoor Stadium of the Pink City-Jaipur, where Judo fights were held among competitors from 15 countries, including India. 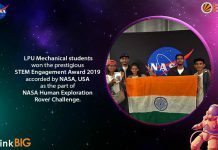 Other participating countries were England, South Africa, New Zealand, Kenya, Sri Lanka, Mauritius, Singapore, Bangladesh, Nigeria, Malta, Jamaica and more. 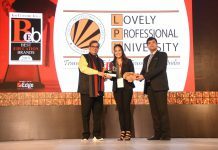 LPU Chancellor Mr Ashok Mittal congratulated the winner and inspired him to keep the winning spirit up. The competitions were organized by Commonwealth Judo Association (CJA) and hosted by Judo Federation of India (JFI). 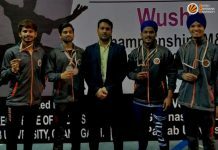 In this regard, Coach Batish received a sparkling silver medal and certificate under the signatures of President Richard Konney of CJA and President Partap Singh Bajwa (MP) of JFI. Highlighting, Coach Batish is a Judo Expert and prior to this he is already winner of five medals (one gold, one silver, three bronze) at national level for AIU competitions. His winning fight against South African Judoka was worth much applauds as he didn’t spare his rival of his fast-clutches even for a fraction of the moment. Only in his twenties, he has much to his credit from the fields of Judo and related Kurash game. He has also won 2 gold medals in Junior National Kurash in 60kg weight category and one gold medal in Senior National. He is also Silver winner of Junior and Senior open category along with cash prizes. 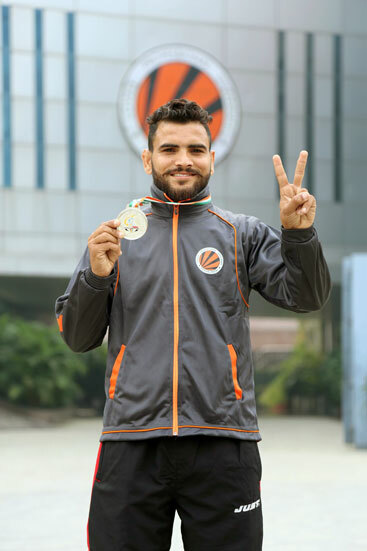 Being physically fit with regular gym exercises, he also touched Power-lifting in 65kg category and won silver in a North India competition. Judoka Batish that Kurash is an ancient Uzbek martial art and a form of folk wrestling in which competitors use towels to hold their opponents with an aim to throw them off the feet, where ‘Kurash’ word means reaching the goal in a fair way. However, teary-eyed Batish was full of remorse while sharing initial stages of his journey towards the winning pedestals through this game. Being fatherless and a brother to five brothers and sisters, it was very hard for him to live up to his passion and inner talent. Unflinching as he is, his elder brother proved for him his first ‘Guru’ who used to inspire and provide him with necessary sports kit out of his petty salary to make Nitin ever winning. Having experienced numerous struggles in his way, now he is ever keen to help emerging and needy Judo players with money and allied assistance for sport kits etc. He remembers well that sometimes back, he himself had no money for kits and other expenses, so he helps others through his salary.